Many people decry the existence of the institutional church. It is seen as wasteful, inert, unproductive, and perhaps even unbiblical. Congregationalist types of churches have tried to limit the damage by limiting their structures to local congregations, but for some even that is abhorrent. The ecclesial community of which I am a part, in which I hold ministerial standing, long held that denominationalism was sinful. When we finally decided to embrace what many already knew to be true -- that we'd already crossed the threshold -- it was in the late 1960s and the world had entered an anti-institutional stage of history. The Christian Church (Disciples of Christ) declared itself to be a full-fledged denomination at the very moment that denominations were declared to be irrelevant. For the past four decades we have struggled to figure out our mission and purpose. We've done this at at time of decline in numbers of adherents and finances. One of the issues facing my tradition over the years was the seeming need to find the appropriate biblical pattern for church structure. Unfortunately, we never found that elixir. If you moved a few decades into the second century you'll find clear evidence of an expanding episcopate, but the biblical texts offer little guidance on the proper institutional formats. Ronald Osborn notes the problem we faced in the 1960s. 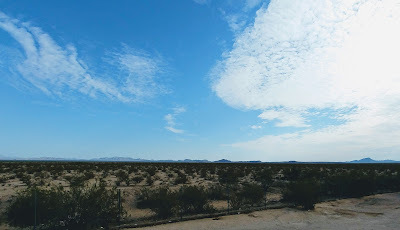 We had jettisoned our restorationist beliefs -- our search for the biblical pattern -- and then faced the problem of what kind of structure would work for us. We could and we did look to our neighboring denominations, but their structures didn't necessarily fit our realities. 1. Any ecclesiastical institution must seek to manifest its best understanding of the gospel and of the nature of the church to the fullest extent that this is possible through a historic institution. In other words, it must always keep in touch with its founding purpose and principles -- it's divine calling. This requires theological conversation. It's not just a question of management principles. 2. If a denomination is a historic institution belong to the church's historic existence, then it must be built of the stuff of history, taking over principles and procedures from its own historic time. Every religious institution has done this, whether it has recognized it or not. Thus the task before Disciples is not to seek some presumed absolute, some divine pattern, but calmly to consider our need and the institutional materials available in our couture to give expression to the nature of the church, as we understand it. With a humble prayer for the power and even the enlightenment of the Holy Spirit we must address our corporate thought to the task before us. ["Ronald E. Osborn, "A Theology of Denominations and Principles" in The Revival of the Churches, Wm. Barnett Blakemore, ed., (St. Lous: Bethany Press, 1963), pp. 105-106]. I understand why many people, especially younger ones, find institutional religion problematic. They can be ponderous, difficult to reform, and yet I'm not sure that we can live without them for long. These institutions serve as a kind of skeleton that keep the body erect. An organism can live without a skeleton, but its form determines the way it lives out its purpose. Osborn offers two good principles. The first calls us to ever keep in mind our founding purpose, which is to bear witness to the gospel. When we move away from this, then we must pursue reform. Second, we will, most likely turn to the structures present in our own context to create the needed structures. What is interesting to me is that once we've created these structures, we seem to believe that this is the necessary structure. The Roman Catholic Church wisely borrowed the structures of the empire. It made sense in the fourth century. The Disciples borrowed structures from the new American Republic. The other day, Tony Jones, who is a constant critic of the denominational system offered up another possible organizational framework. Tony is suggesting that we fix our denominations by getting rid of the bureaucracy. It’s not the people that is the problem, it’s the bureaucracy. Bureaucracy is bad for the gospel. Bureaucracy is good at sustaining itself, but only for its own sake, not for a larger, more noble purpose like the gospel. I think that denominations might take a lesson from a new kind of company in America. These companies are being founded and funded, but they have no managers. While I'm not yet convinced we'll get the denominations to switch over to this new non-bureaucratic framework anytime soon, it's quite likely that new movements within the church might take it up. They will add another format of ecclesial life to our realities. If it works -- well great -- if not -- well we can go back to the Roman model, which has worked for about 1800 years! But note this -- Tony was taking us back to Oborn's first point -- whatever our structures, they must manifest the gospel! 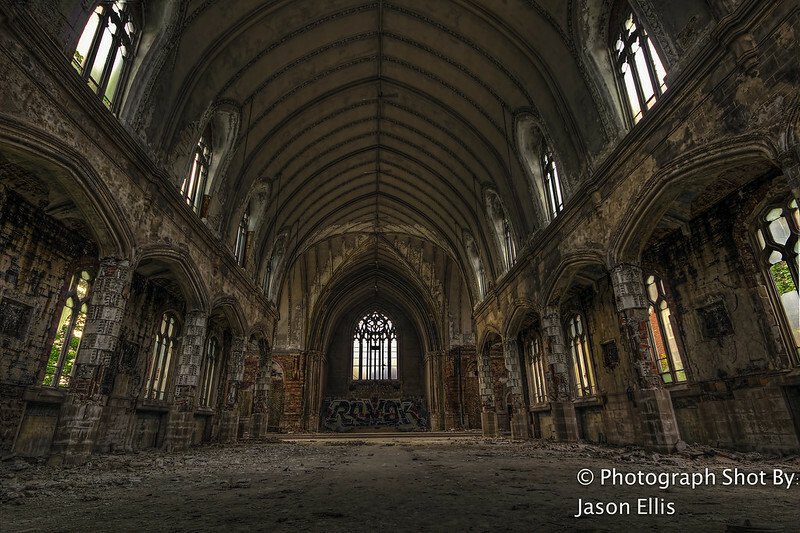 This is St. Agnes Catholic Church of Detroit -- now abandoned. This no management thing? Classical democracy, bullies, consensus... What does this look like and us there an inherent size limit? I very thoughtful blog, Bob. Thanks for this ongoing good work. When Restructure occurred in 1968, we went only as far as we could go. When we permitted our bureaucracies to appoint and maintain their own boards (another expression of congregationalism), we made them bullet-proof. The only change that has since come to our regions and general units has been that which was led by regional ministers and unit presidents who had the insight, vision and skill to lead the change. Too often (certainly not always, thank God), regional ministers and unit presidents have focused on preventing needed reform rather than seeing the need for it and embracing it. When you essentially appoint (or nominate) your own board members, this is an nearly inevitable result. Few executives invite reformers onto their boards (in any expression of the church, including congregations). Self-perpetuating boards most generally perpetuate a lack of accountability and ongoing adaptive change. This means it all depends on the executive to keep things fresh and constantly reforming. I think this is some of what Thomas Jefferson was thinking when he suggested, "an occasional revolution is a good thing". But rather than a revolution that comes from the outside, revolution is most productive, constructive and least bloody when it comes from the inside....institutions (and their leaders) must learn to constantly reform from within or else, in the case of the American political system and we Disciples of Christ who patterned so much of our system after the American political system, our "constituents" will walk away. Let us pray for our congregational, regional and general leaders in the face of these things. Thank you for your very thorough and thoughtful reply. You write from experience -- so what you share is quite helpful. It is interesting that in the New Republic article on Pope Francis, they note that it may be easier to reform the bureaucracy than the church itself. That may be why we often focus on the structures and fail to get to the root! Jeff, I wonder too about size. Emergent folks like Tony often speak in terms of smaller more independent units. Bob, you have raised the "elephant in the room" issue. Thank you. Dr. Hamm's reaction is voiced from as close to the heart of the problem as one can get. I think I became aware of it when several general church leaders ganged up against Dr. Kinnamon's election over turf wars. It has also kept several denominations which should have merged from doing so. Bureaucracy is a synonym for "principalities and powers." Dr. Hamm is surely right in suggesting prayer as a beginning solution. (Also Walter Wink's solution!) It doesn't look like the status quo is being seriously challenged. Given the decline of our DOC and most denominations in general, God is doing for us what we can't do for ourselves: restructure our church It's only a matter of time. Bob, what do you think of the model of the non-instrumental Churches of Christ (our fore bearers)? They get a lot done, including major colleges and universities, and worldwide missions, without any denominational bureaucracy. They may not have bureaucracy in the same way as Disciples but they do have structures that they use to accomplish their work. I expect that most of those structures are governed by the kinds of self-replicating boards. These structures can calcify as well -- and maybe are more resistant to change. Too true. There's just no getting away from the principalities and powers!